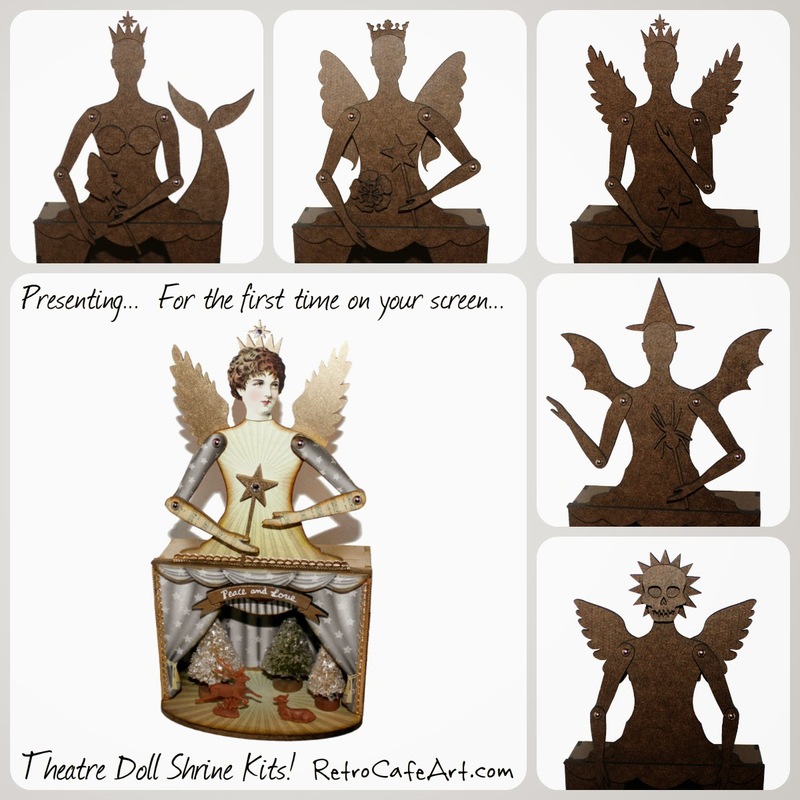 Presenting... Theatre Art Doll Shrine Kits! I'm beyond excited about our six NEW Theatre Art Doll Shrine Kits, gracing your big screens for the first time. I've been dreaming of these ever since the talented Virginia Smith created her Bunny Doll Theatre from our Medium Theatre Shrine Kits last March. Well, they are finally here and they are a BLAST to play with. And it just so happens our Medium Theatre Collage Sheets, Fairy Doll Head Paper Cuts, and more fit them perfectly. I couldn't wait to play with the new Theatre Doll Kits! 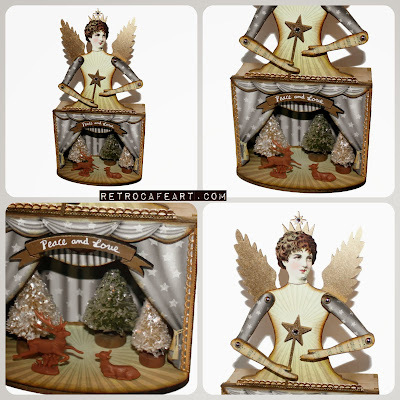 Since Christmas is closer than we would all like to admit, I worked with the Angel Doll Theatre! Supplies Used: Medium Angel Theatre Art Doll Shrine Kit, Silver and Gold Theatre Curtains Collage Sheet, Silver and Gold Theatre Doll Collage Sheet, Red Mystique Theatre Doll Collage Sheet, Fairy Doll Head Paper Cuts, Banner Cut-Outs, Antique Gold Mini Scalloped Dresden, Mini Bottle Brush Trees, Mini Plastic Deer, Antique Gold Gilders Paste. Happy Saturday everyone! Keeping up somewhat with last week's release, we have several NEW goodies in the shop that will continue to fuel your Dia De Los Muertos art! If you like roses and flowers, you will love the new goodies. They are a blast to play with. I definitely took my turn (see below)! Check it all out HERE. 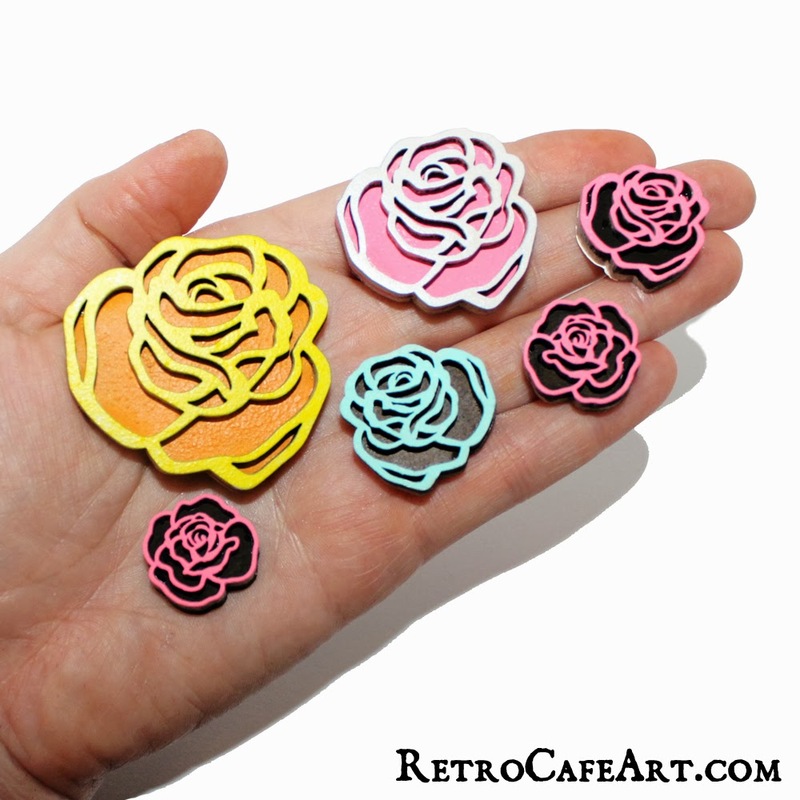 I had so much fun making these Rose Ornaments! I started by spray painting both pieces white. Then I added some collage, stamping, and acrylic paint. Super easy and I loved the result! 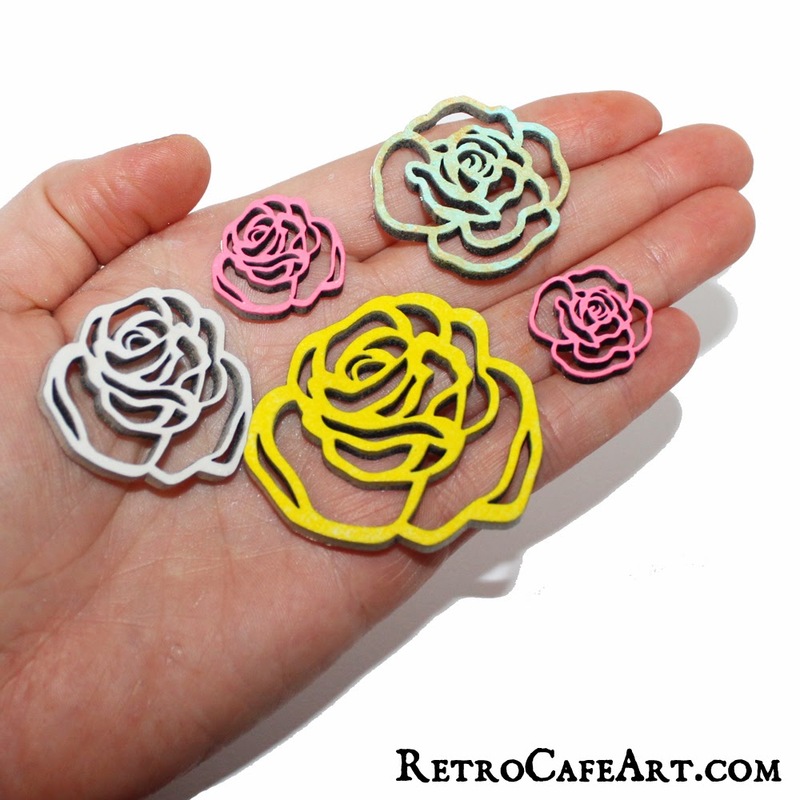 For the Open Rose Cut-Outs, I spray painted all of the pieces white and then added color with acrylic paint. The colors really pop! Love the Layered Rose Cut-Outs. Again, simply white spray paint and colored acrylics! The Rose Shrine was the most fun to make. First I assembled the shrine. Then I spray painted the entire piece red. A little acrylic paint, embellishments (including my rose from above), and paint marker accents and done! 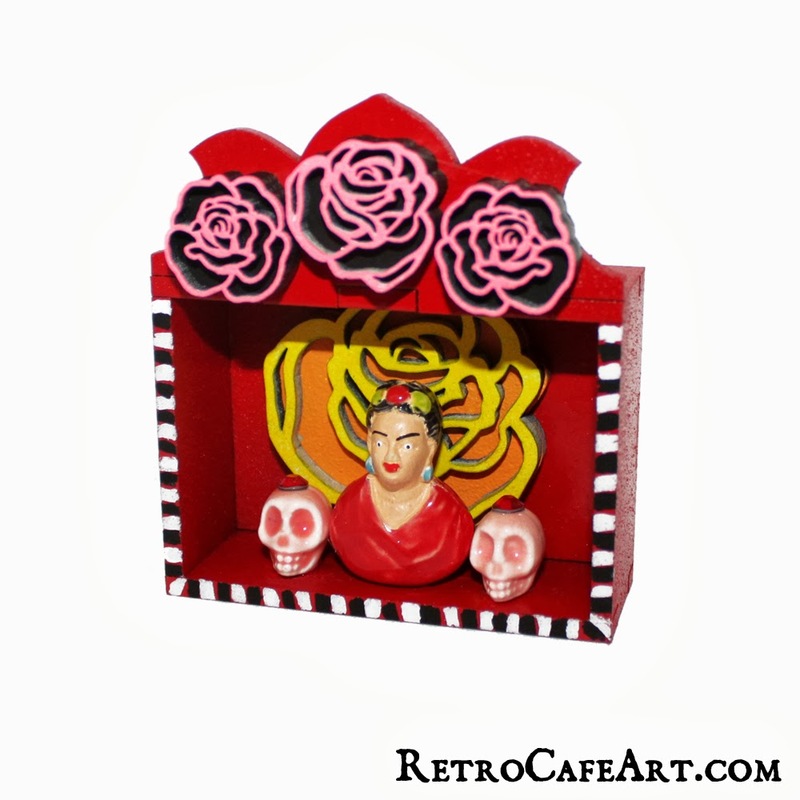 Used Rose Mini DOTD Shrine Kit, Layered Rose Cut-Outs, Frida Kahlo Bead, Pink Ceramic Skull Beads, Black Sharpie Paint Marker, White Sharpie Paint Marker. My Frida Shrine above will be included in our Dia De Los Muertos Mini Shrine Swap! Come join us! 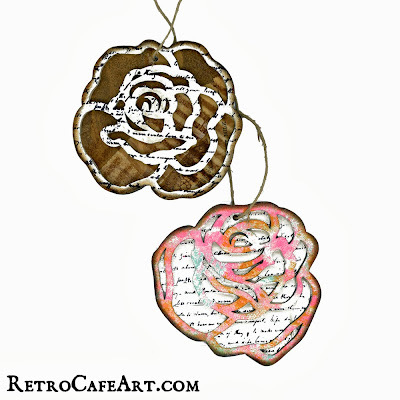 Dia De Los Muertos Goodies and a NEW ART SWAP! 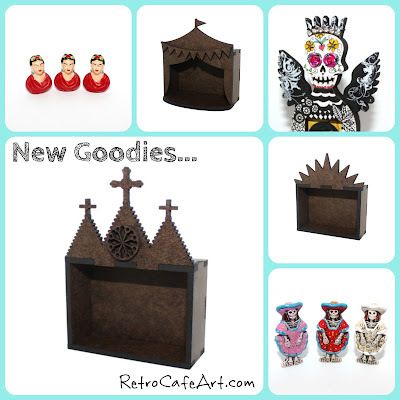 I'm super excited about the new Dia De Los Muertos (Day of the Dead) goodies in the shop. It all started with some adorable Handmade Skeleton Dog Figures. Of course they needed a Shrine that was the perfect fit! And then Fifteen Shrines later... well, you know how that goes! 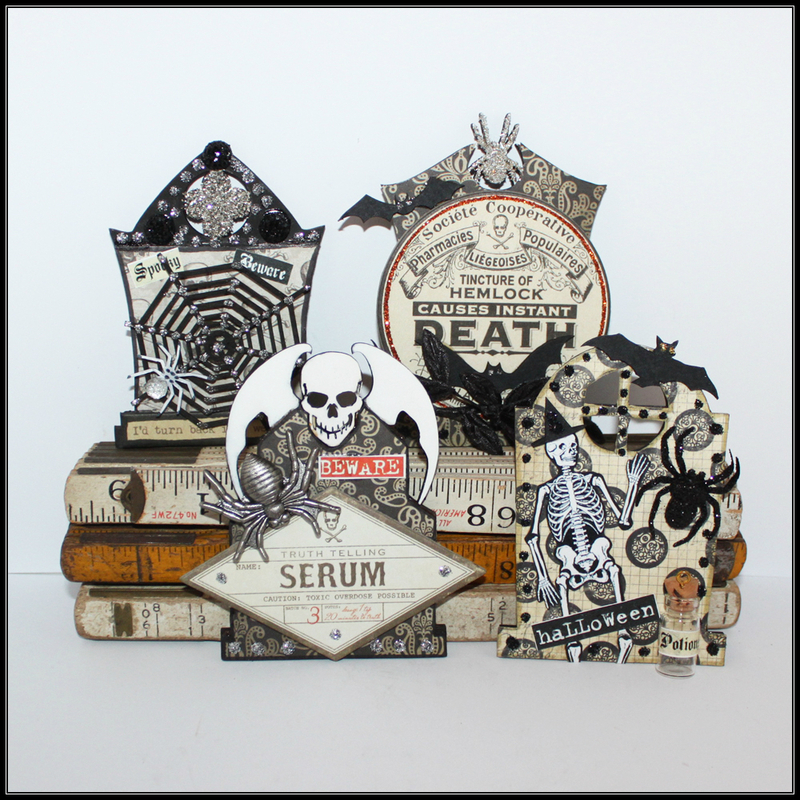 We have tons of new Mini DOTD Shrine Kits, Charms, Ceramic Beads, Metal Roses, and so much more! You can check it all out HERE. Since we have so many cool new Mini DOTD Shrines in the shop, a SWAP is definitely in order! Shrines are due Monday November 11th! 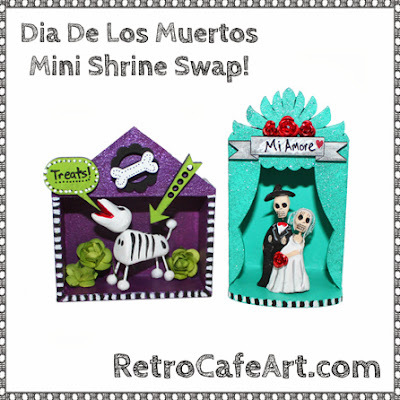 In honor of the swap, all of the new Mini DOTD Shrine Kits are ON SALE! I had a blast playing with mine as show above! Get the swap details HERE. Skulls with Removable Craniums and More! Happy Weekend everyone! 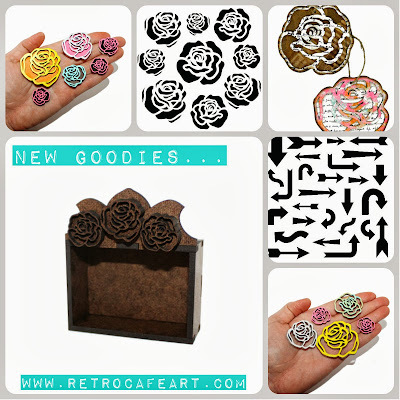 We have some seriously amazing NEW goodies in the Retro Café Art Gallery shop and lots of them! Pretty much all of the new Tim Holtz, including the entire Stencil line, awesome Halloween Stamps, Washi Tapes, Skulls with Hinged Jaws (the bomb! 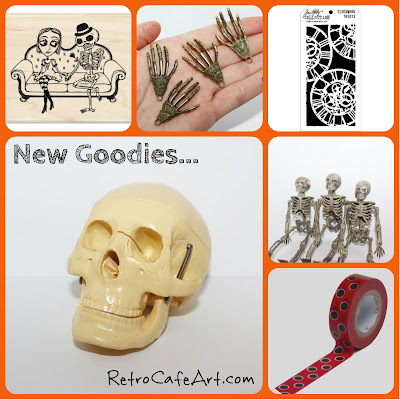 ), Halloween Charms, and so much more! Go see for yourself! You can check it all out HERE. 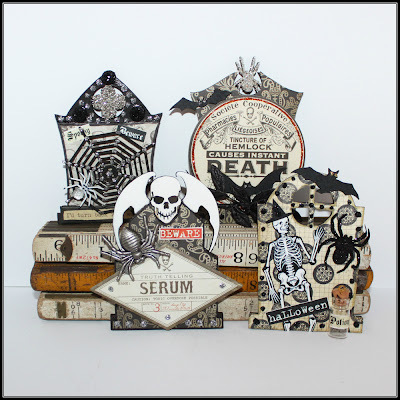 Come join in our Gothic Tombstone ATC Swap! You still have plenty of time! Tombstones are due October 7th! And if you want to see even more awesome tombs (and other pieces of Halloween Art Candy) come find us on Facebook!